Make in India is a major national program driven by the Government of India under the able stewardship of the Honourable Prime Minister Shri Narendra Modi. It is designed to facilitate investment, foster innovation, enhance skill development, protect intellectual property and build best in class manufacturing infrastructure in our country. The primary objective of this initiative is to attract investments from across the globe and strengthen India’s manufacturing sector. With the Indian Government’s ambitious growth plans in the energy sector, and the aim to raise contribution in indigenous manufacturing under “Make in India” initiative, M/s Nuclear Power Corporation of India (NPCIL) awarded an order worth Rs. 4130 Mio to KSB Pumps Limited for supply of 8 nos. Primary Coolant Pumps - RSR 400/2 with related accessories. These pumps will be installed at NPCIL’s Gorakhpur Anu Vidyut Pariyojana 1 & 2 project Haryana. With the completion of initial technical as well as commercial formalities; manufacturing of these pumps will commence at the “Energy Pumps Division” of KSB. Delivery of these pumps is expected to begin from June 2021 with a target to complete the order by March 2023. 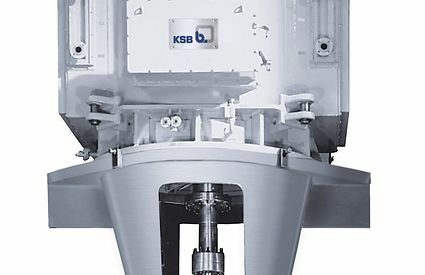 KSB has been the pioneer in indigenizing Vertical Canister Pumps and Boiler feed Pumps for Super Critical Power Plants … some of which have already been supplied; or are at the dispatch stage! NPCIL has embarked on an ambitious program of 12 PHWR projects of 700 MW at various locations including the 2 at Gorakhpur in Haryana; and we at KSB in India have taken up the challenge of indigenizing the Primary Coolant Pumps. For the Gorakhpur and future projects of NPCIL, we are now geared up to supply the PCPs made 100 % locally; following receipt of this order! Likewise, the Main Feed Water Pumps for the new projects, if ordered on us, shall also be made by us indigenously. To be fully prepared to be in sync with the emerging and accelerated growth needs of the Indian energy majors and the market needs; in April 2017, KSB Pumps Limited inaugurated its 6th Manufacturing base – The Energy Pumps Division – at Shirwal, near Pune. This division will primarily handle the manufacturing of pumps required for Super Critical Power Plants and Nuclear Power Plants. This new facility is housed in an overall plot area admeasuring 100,000 sq. meters. KSB Pumps Ltd. Founded in 1960 in India is a part of KSB SE & Co. KGaA., - one of the world’s leading suppliers of pumps, valves and systems. Combining innovative technology and excellent service to provide intelligent solutions, the company has been offering innovative and sturdy solutions to cater to the myriad needs of the Indian Customer may it be in power, oil, building services, process engineering, water treatment, water transport, etc. The activities of KSB’s in-house research Centre focus on the areas of hydraulics, sealing technology, materials, production technology and automation. 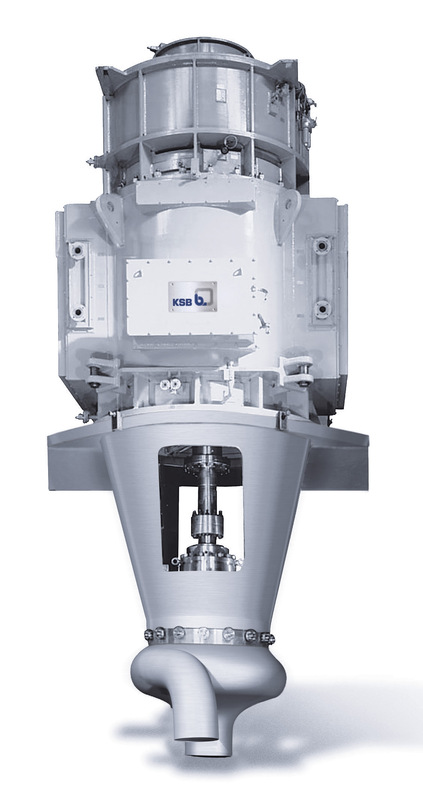 Today the KSB group has a presence on all the continents with its own sales and marketing companies, manufacturing facilities and service operations. More than 14,500 employees generate annual consolidated sales revenue of over Two billion Euros, worldwide.